Iolanda Chirico, AFRIL’s founder and Manager, manages the majority of AFRIL’s staff and all volunteers. 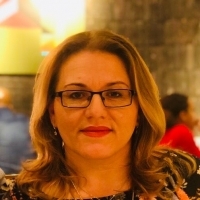 Iolanda previously worked with Bromley Refugee Network and Lewisham Refugee Network as their General Manager and holds a degree in Sociology and Communications, a Certificate in Management, and financial training. She is well placed to lead the organisation into the future. A lifelong resident of Lewisham and neighbouring areas, Lucy Salek joined AFRIL’s board as Chair in January 2017 and will be responsible for steering AFRIL into the new strategic period and the continuing development of its Governance arrangements. 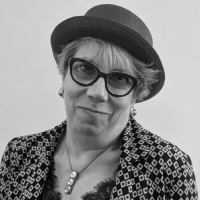 Alongside her position as Chair of AFRIL, Lucy Salek is the Director of Opening Analysis, an organisation that works with international NGOs and charities on good practice in aid and development. Over the past decade she has worked extensively with vulnerable forced migrants and those that support them in over 15 countries Asia, the Middle East, Eastern Europe and Sub-Saharan Africa. 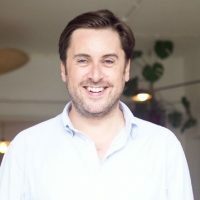 Gareth has been a trustee of AFRIL since December 2016 and is currently vice-chair of the board of trustees. Currently head of climate and energy at conservation charity, WWF-UK, he used to work in central government. Most recently, that meant working on renewable energy in the Department for Energy and Climate Change. Before that he ran immigration and asylum services in the south-east of England for the UK Border Agency and has been responsible for various aspects of policing policy in the Home Office. Enjoying cycling and wildlife photography in his spare time, Gareth lives with his husband and two cats in Crystal Palace. Thomas is the the Headteacher of the Rainbow Club Saturday School, an award winning supplementary educational provision for children and their parents from refugee and asylum seeking backgrounds. He also supports with the strategic direction of the organisation and leads on fundraising for AFRIL. Tom has a wide range of experience in both the charity sector and in mainstream education. After studying Physics at university Tom taught at Aylward Academy where he also took on the role of Head of Vocational Sciences and was promoted to Lead Practitioner in charge of the whole school’s teaching and learning improvement. More recently he has worked as a scientist in residence in Islington primary schools and currently splits his time between AFRIL and the Refugee Support Network where he leads their East London mentoring hub. volunteering programmes and is our Centre Coordinator for the AQA Unit Award scheme of accreditation for volunteering. Helen also works part-time as the Volunteer Coordinator for Community Action for Refugees and Asylum Seekers (CARAS) in South West London. Sophie is the Advice and Outreach Officer with at Action for Refugees in Lewisham. In her current job Sophie provides advice on homelessness, Section 17 support, support for clients with No Recourse to Public Funds, Housing, Domestic and Sexual Violence Support and support for families. Sophie has been with AFRIL since 2018 and has a background in Women's Rights, as well as advocating for the rights of detainees through her work with anti-detention and deportation groups in the UK. Saqib has worked in the charity sector for more than 30 years in Children and Young People Services as a youth worker, manager and senior practitioner. Saqib has been a national officer for BME infrastructure organisation Voice4Change England and works as consultant and trainer across the country. He is also a writer, commentator and campaigner. After a very successful year and a half as AFRIL's General Manager Saqib is now supporting the organisation through their next stage of development. Kate is the food bank assistant at Action for Refugees in Lewisham. She holds an MA in Iranian Studies from SOAS University of London and is the lead Iran researcher at the Middle East Consultancy Services. Kate has worked for several NGOs and private companies focused on the rights of refugees and asylum seekers in the UK. She has provided consultancy for a range of projects, collaborating with international organisations such as the Danish Refugee Council and Danish Immigration Service. Kate speaks English and has an elementary command of Farsi. She has published papers on human rights violations in the Middle East. 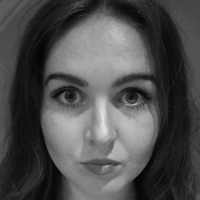 Kate's research is centred on the security situation in the MENA region, gender-based issues, and forced migration. Vita currently teaches Starfruit Class, a group of 31 children from year 2 to year 4, at the Rainbow Club Supplementary School. Alongside her role at AFRIL she is a Graduate Teacher Trainee at Dalmain Primary School. Vita has extensive experience as a senior teaching assistant in a number of primary schools in the UK and has worked with many different ages and abilities within the primary teaching sector. She has a Bachelors degree in Education Studies from London South Bank University and studied primary education in Albania before moving to the UK. Vita has been working at AFRIL as a classroom teacher since 2015.